12. Is Ankara waking up to what Trump really represents? 4. Why did Russia offer autonomy for Syria’s Kurds? 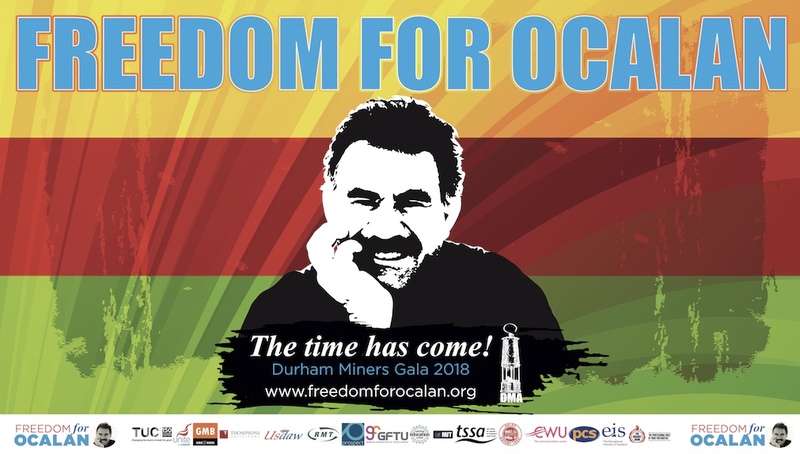 The Long March, to be staged with the motto ‘Freedom For Öcalan, Status for Kurdistan’, will begin following a press briefing in front of the European Court of Justice in Luxembourg on February 1, and end in Strasbourg 10 days later. HDP Adana MP Meral Danış Beştaş and Istanbul MP Hüda Kaya were also taken into custody last night and both were released after court procedures on conditions of judicial control. Theresa May issued a stern warning to Turkish president Recep Tayyip Erdoğanabout respecting human rights yesterday as she prepared to sign a £100m fighter jet deal that Downing Street hopes will lead to Britain becoming Turkey’s main defence partner. ONE of the worst atrocities in human history began just over one hundred years ago. On April 24 1915, in what became known as “Red Sunday” due to the amount of blood that was shed, the Ottoman leader Mehmed Talaat gave orders that saw the arrest and detention of hundreds of Armenian community leaders in Istanbul. As the international political order fragments, Theresa May flies from seeing Donald Trump, who speaks approvingly of the use of torture, to a meeting with President Recep Tayyip Erdogan who is presiding over the reintroduction of torture in Turkey. PACE Monitoring Committee said in its statement that if Turkey fails to organize and conduct the referendum in compliance with Council of Europe and Venice Commission guidelines, and the European Convention on Human Rights, the overall legitimacy of the process – and of the new constitution itself – could be put into question. 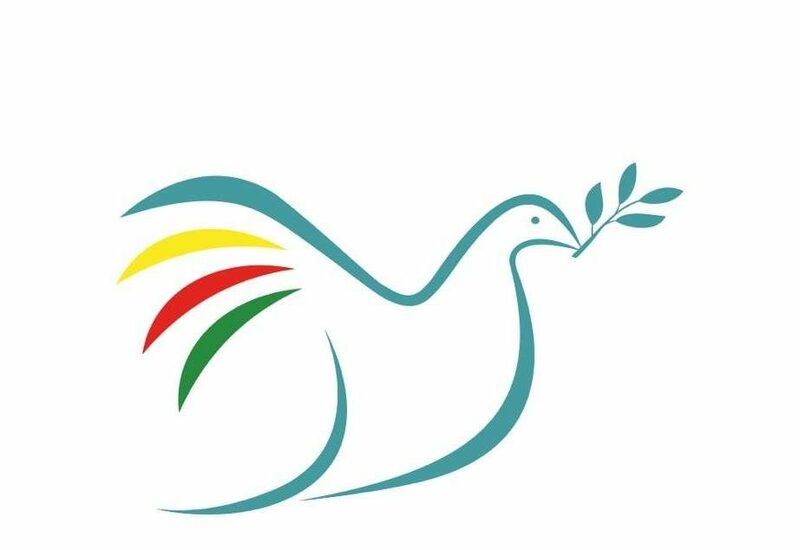 Parliamentary Assembly of the Council of Europe (PACE) Monitoring Committee made a statement yesterday (January 26) on the constitutional reform in Turkey which will take place in April under the ongoing state of emergency (OHAL). The President of the European Court of Human Rights (ECHR), Guido Raimondi, has said the isolation of Kurdistan Workers’ Party (PKK) leader Abdullah Ocalan, violates the European Convention on Human Rights. Following the annual press conference of the European Court of Human Rights, President Guido Raimondi answered a journalist’s question on the prevention of Ocalan from meeting with his lawyers over the past 5 years. Journalist Arzu Demir has been sentenced in total to 6 years in prison because of her books titled “Dağın Kadın Hali (Womanly State of the Mountain)” and “Devrimin Rojava Hali (Revolution’s State of Rojava)”. The most crowded delegation of the International PEN, which dates back to a 100 years, went in front of Silivri Closed Prison to act in solidarity with imprisoned journalists and writers. When Turkey intervened in northern Syria five months ago, it claimed it had no designs on its former Ottoman dominion and that its only goals were to cleanse its borders of the Islamic State and to eliminate what it called the terrorist threat posed by the People’s Protection Units (YPG), the US-allied Kurdish militia that is paradoxically the most effective force against the jihadis. President Recep Tayyip Erdogan’s inner circle and political supporters in the media continue to vent their anger at former President Barack Obama with outlandishly exaggerated claims, while expressing hope that Turkish-US ties will be much better under President Donald Trump. When Hilmi Akyol returned to his neighborhood four months after fleeing clashes between the Turkish security forces and Kurdish militants, he found his street leveled, all its buildings razed to the ground. He found his one-time home by the greenery of two tons of sprouting wheat. Mr Garo Paylan, an ethnically Armenian HDP MP for Istanbul, delivered a speech at the parliament during the talks on Constitutional amendments on 14 January 2017. The final declaration called attention to the ongoing deaths and destruction as the Syrian crisis enters its 7th year, saying: “There is no trust left that international forces will produce a resolution to the crisis. Practices of terrorist groups and the Ba’ath regime government has left hundreds of thousands of civilians death and many cities of Syria razed and burned to the ground. The UN-mediated talks in Switzerland, previously set for February 8, will instead take place by the end of the month. Sergey Lavrov made the announcement at a mini-summit in Moscow with state-approved representatives of the Syrian opposition. Russian Foreign Ministry Spokeswoman, Maria Zakharova, denied report about the Russian government proposing autonomy to the Syrian Kurds during. The Syrian Democratic Forces (SDF), a main group fighting Islamic State’s (ISIS) militants in northern Syria, have been excluded from the Russian-led peace negotiations in Kazakhstan’s capital, Astana. Speaking at a meeting in Moscow with Russian Foreign Minister Sergei Lavrov and some representatives of the Syrian opposition, Khaled Issa of the Kurdish Democratic Union party stated that the proposals for the Syrian Constitution advanced by Russia include “many positive things, in particular the elimination of the word ‘Arab’ from the name of the Syrian republic”, although the Russian draft “unfortunately” does not satisfy the “expectations and hopes of the Syrian people”. The representative of the Syrian Kurdish Democratic Union Party (PYD) Halit Isa spoke to Sputnik Turkey in an interview saying that Russia has invited three representatives of the party for a meeting with the head of the Russian Foreign Ministry Sergei Lavrov. On 21 January 2017, 339 out of 550 MPs voted in Turkey’s National Assembly for constitutional changes that are to be put to a referendum, to be held no later than the third week of April 2017. These changes are described as transforming the 94-year-old republic from a parliamentary to a presidential system; this misrepresents what will be the establishment of autocratic one-man rule. When Obama received the Nobel Prize in 2009, the committee acknowledged his commitment to peace. He has since bombed eight countries. UN Syria envoy Staffan de Mistura praised the Russian-brokered Syria talks in Astana, Kazakhstan, which ended Jan. 24, as a “concrete step” toward implementation of United Nations Security Council resolutions dealing with Syria, commending Russia, Turkey and Iran for setting up a mechanism to ensure compliance with the cease-fire announced last month. 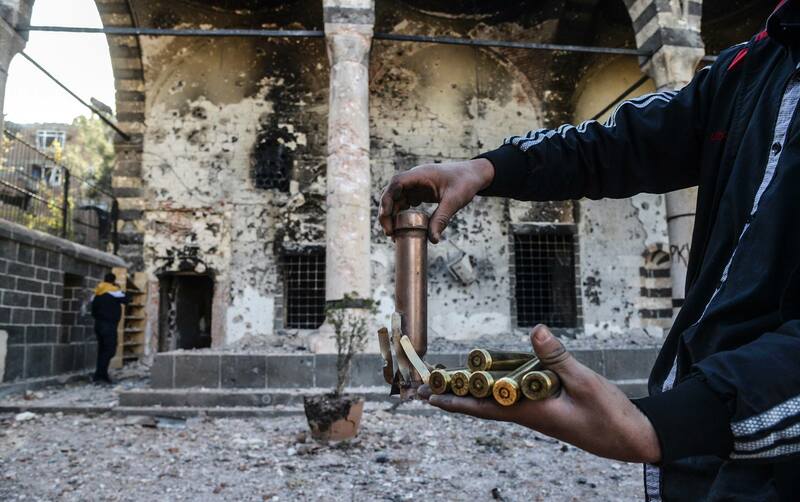 The Syrian Conflict is one of the most complex and confusing in modern history. Making sense of the dozens of actors and their motivations is a daunting task. However, complexity and difficulty cannot be counted as an acceptable excuse for America’s failure. America has failed to embrace and support elements within the conflict that demonstrate values consistent with ours. Farah recently visited Istanbul and Northern Kurdistan around Amed / Diyarbakir to interview feminist and Kurdish activists. In this interview on her return to Ireland we talk about the massive repression against the left and Kurdish movement that has seen tens of thousands fired from their jobs and thousands including many of the HDP MPs jailed. Kurdistan National Congress (KNK) Executive Council member Adem Uzun has accused Western countries of also being responsible for what he called “the rise of the Erdogan dictatorship in Turkey.” Speaking to Sidar Dersim from Yeni Ozgur Politika, Uzun assessed his organisation’s activities in 2016 and said Kurds had achieved important gains in the diplomatic sphere. In light of Donald Trump’s controversial inauguration as 45th president of the US, women recently organised themselves into a series of marches in order to show their power and political will. As many of us feminists know, institutionalised sexism, patriarchy, warmongering, racism and class division have finally come to the fore and have become far more visible and out of control during and after Trump’s march to the White House. British Prime Minister Theresa May is embarking on an official visit to Turkey to talk about trade, defence and security with President Erdogan.There are many more urgent issues that need to be addressed not least of which is the massive crackdown and repression unleashed by Erdogan that shows little sign of abating. The UK’s prime minister, Theresa May, is visiting Turkey. So far, her government has remained largely silent despite the dictatorial drift in the country. Following the unlawful detentions yesterday of our Istanbul MP Hüda Kaya, Diyarbakır MP Altan Tan and Adana MP Meral Danış Beştaş, our Spokesperson and Kars MP Ayhan Bilgen was detained this morning.